I was a projectionist at Elstree at the time we dubbed Swallows and Amazons. Had some good chats with Claude Watham at the time. Some nice memories of those days. How good to hear from you! What did you think of us children? Did we come across as precocious? No, not at all, and thank you for your reply. I grew up in the late 1940’s early 1950s and have to say that the atmosphere portrayed in the movie was very reminiscent of the times I spent as a child: swap the Lake District of Arthur Ransome’s 1930s children’s adventure with London’s bomb sites of the late 1940s early 1950s, and we were all on the look-out for adventurous experiences. Kids at that time had only their imaginations to work with; very little television to entice or guide them, and no computers to hold them back. We only had simple comic papers and good children’s books to whet our appetites. They were good days. Tell me, were you projecting all the clips that we re-voiced on Swallows, back in the summer of 1973? Where you around when Claude was auditioning voices? What else was involved in the dubbing process that I wasn’t involved in? You must have been there when they added the parrot’s voice and those of the burglars. I was there at the time you mention, although we would have not had any input with regards to voice auditioning. The projection department was quite large, with around 25 projectionists. We had several viewing theatres which were manned in turn by all the members of the department. I was working in Dubbing One at the time. What you refer to as a voice dub we knew as Post Sync. This is where an actor re-voices his character to improve the sound track. We ran loops of film until the actor had successfully re-voiced a section of dialogue and then we moved to another loop to repeat the process. I have put a couple of images on my Facebook page which might interest you. One is of the dubbing suite and the other is a card sent to me by Claude Watham at the time he was at the Lakes. Thanks so much. I’d love to share your photo, if that is possible. My publisher would be fascinated. 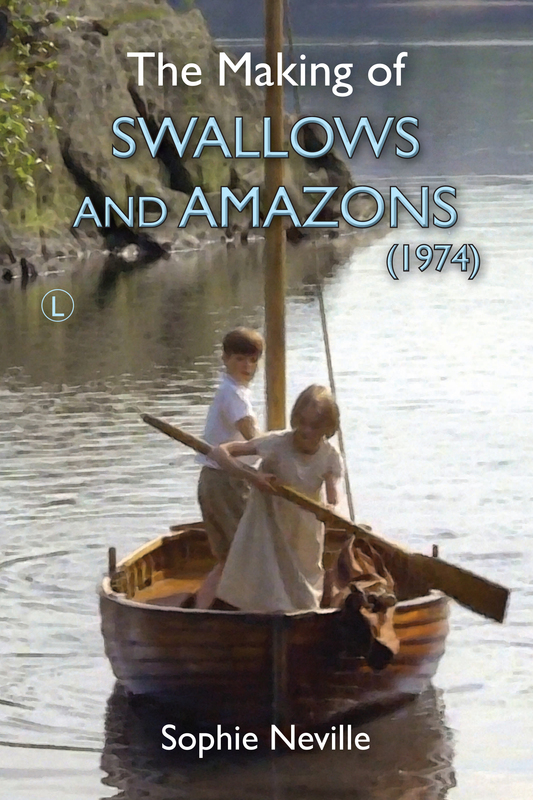 Have to managed to read the ebook or paperback on ‘The Making of Swallows & Amazons?’ You must please let me know if there are details I need to correct for the 2nd edition and of any names I could add to the credits at the front. Did you ever get to work at the BBC? Please feel free to use the photos, or email me and I will send you the ones I have on my computer. No copyright charges for them at all. I haven’t read your book, but would love to look at it. No, never worked for the Beeb although I had an offer to visit. In fact, I came out of the industry towards the end of 1974 to start a new career in the catering industry. During that time I owned a small hotel and ran my own fast food business with my wife up until I retired in 2002. I am now 71 years of age and still enjoying my favourite love of photography.